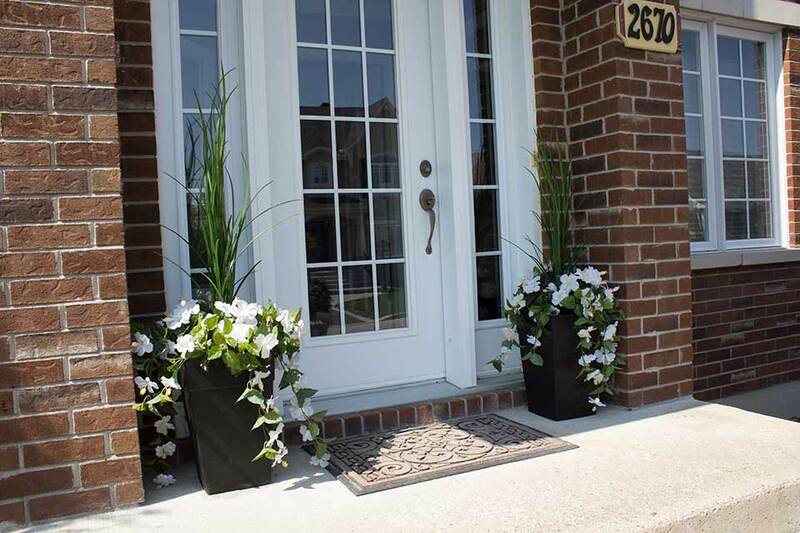 Spruce up your patio with an assortment of beautiful authentic greenery that will not only enhance your backyard but will positively uplift your spirits when in their presence! 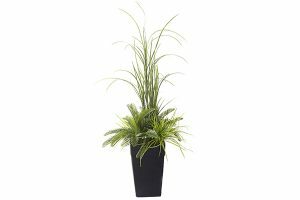 These Outdoor Artificial Plants are affordable and well-made. 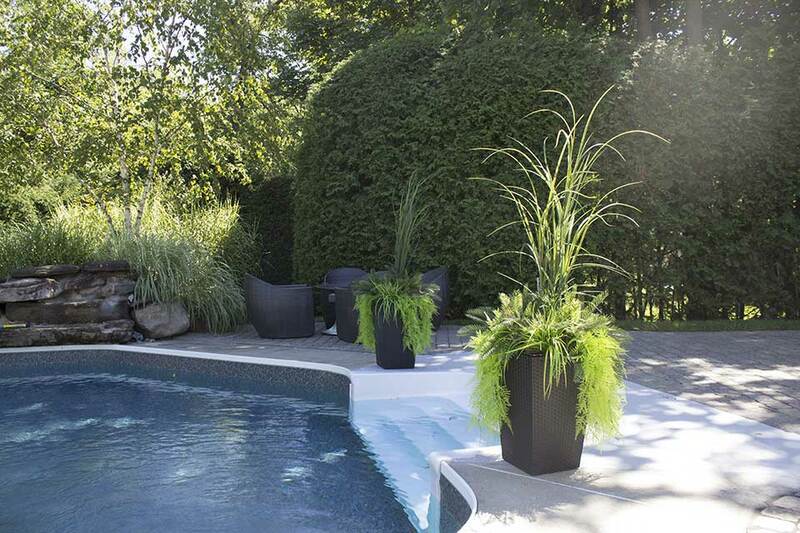 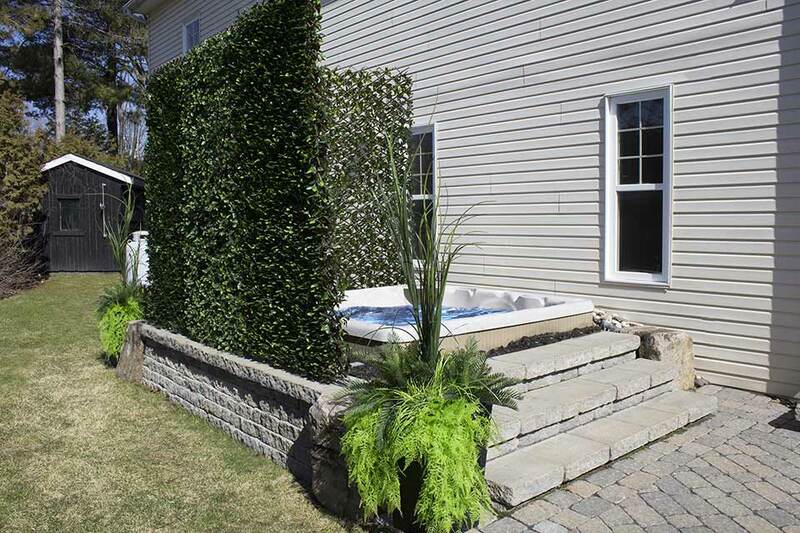 Made by Veronneau, a Canadian based supplier out of Montreal, these outdoor fake plants are backed by a two year fade guarantee. 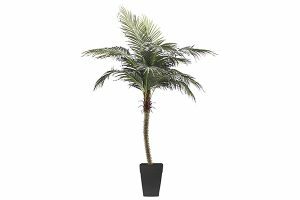 They are made from extremely lifelike resins and will have your guests trying to find out how you keep your plants looking so perfect. From boxwood to palms to a variety of draconian's! This 32" round boxwood planter is an outdoor artificial boxwood ball topiary in a black plastic planter. 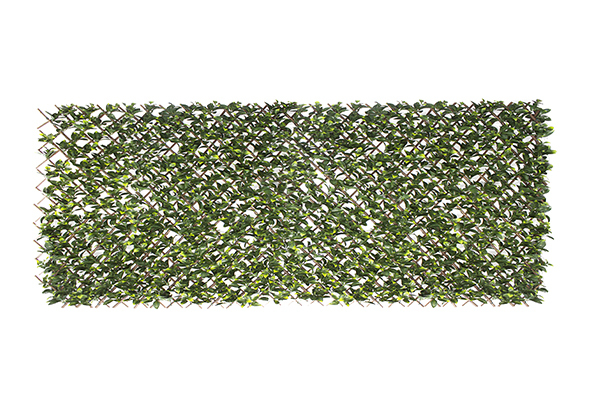 Perfect to add an tropical punch to your outdoor space. 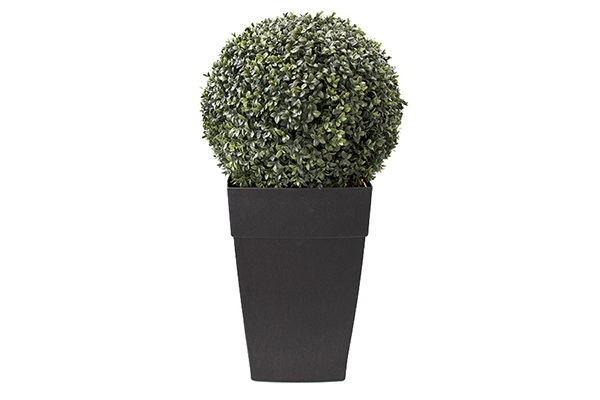 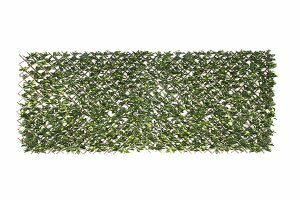 These artificial boxwood planters, made by Veronneau, also carry a one year warranty against discolouration from UV rays. A 48'' artificial dracaenas & grass outdoor plant arrangement in a black plastic planter. 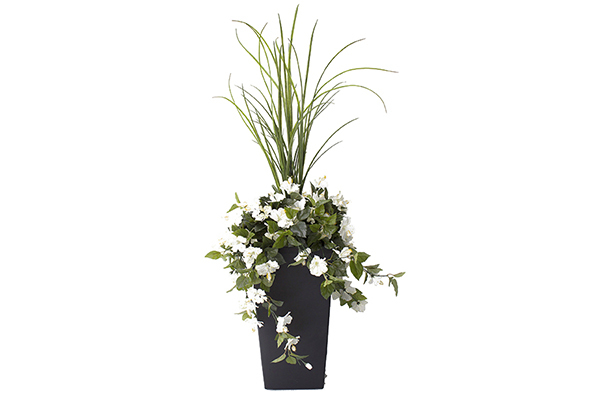 If you are not a flower aficionado, this arrangement is the perfect solution! 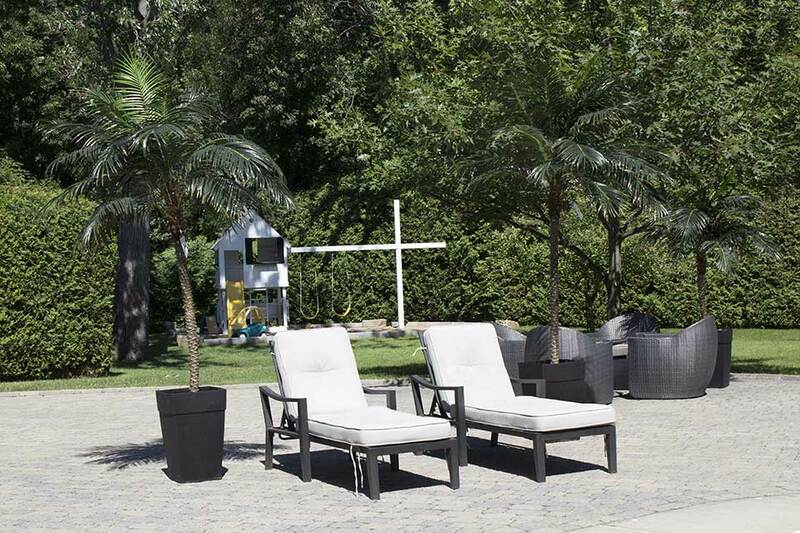 One year warranty against discolouration caused by UV rays.